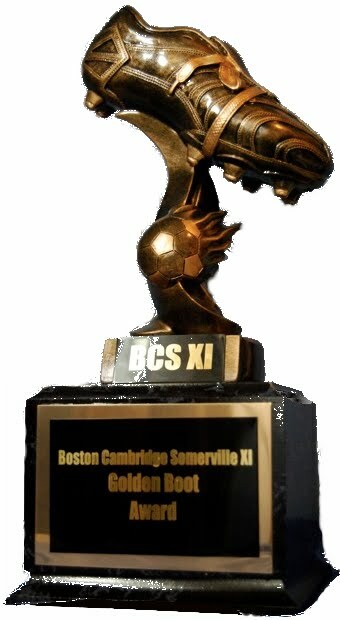 BCS XI continued their strong start to the season by dispatching Coastal United 4-0 at Dilboy Stadium. The win sent the home team two points clear at the top of the table, with the visitors maintaining their position in fourth after three rounds of fixtures. BCS struggled to create any clear cut chances through most of the first half, perhaps a reflection on the number of key personnel missing from the lineup. Despite the offense not firing on all cylinders, however, the defense stood its ground, and Coastal United were unable to generate any real threats. Brian Doucette, filling in for brother Dave in goal, commanded his box in the air while the back four snuffed out Coastal United's attempts at buildup play. After 35 minutes, the opening goal came on a counter-attack off a Coastal United corner. Paul picked the ball up inside the halfway line and drove at the last defender. Fran did well to delay his run, and Paul slipped in a delightful pass for Fran to run onto and coolly slot past the keeper. In the second half, BCS found their stride and dominated play. The Coastal United keeper made a number of fine saves, with his back four also well-organized for most of the half, but the home team's pace up top was too much to handle. After blasting a shot straight at the keeper, Fran did managed to complete his brace soon after. Adam did brilliantly to escape two defenders before whipping a cross into the far post, which Fran dispatched with a neat header. The third goal was set up by a brilliant chip over the top from Josh. Fran burst past the defenders and unselfishly squared across the box to Marco, who blasted into the back of the net from close range. This tops of a fine performance from Fran who for the second time this season earned Man of the Match honors, well done Taylor! The scoring was then finished off by Andy Hoot, who had controversially seen a previous effort cleared off the line, as he picked up a rebound before rounding the last defender and finishing calmly. The win saw BCS extend their run of clean-sheets to four, making them the only team in the division yet to concede. The XI look to extend their fine run of form next week in Waltham against Marcou Marauders, who currently sit bottom of the table.